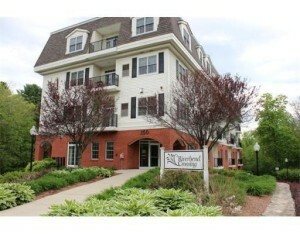 There are two 55+ active adult communities located in North Andover MA. These are active adult communities, meaning they do not offer assistance with daily living activities such as meals, medications, housekeeping, and personal care. These communities are for active independent residents at the same stage of life of 55 years plus who want care-free, comfortable, and convenient living while enjoying neighbors at the same stage of life who share similar interests. Mettinghouse Commons is a 55+ Adult Community located just minutes away from great restaurants and shopping, with easy access to Routes 495, 95, and 93. This 55+ community is located adjacent to acres of fragrant apple orchards at Smolak Farms. Each finely crafted home was carefully placed to take full advantage of the privacy of the surrounding conservation lands and the scenic views. Quality and simple elegance define each home. There are 85 units, including detached homes and townhouse style condominiums. Features include hardwood floors, granite counters, cherry cabinets, stainless steel appliances, ceramic tile baths, 9′ ceilings, solid doors, detailed moldings & trim, central vacuum, security system, recessed lighting, brushed nickel fixtures and hardware, low-maintenance exterior finishes, and energy-efficient construction. There is a professionally managed association, with condo fees that cover master insurance, exterior maintenance, landscaping, snow plowing and shoveling, private road maintenance, trash removal, reserves, clubhouse, and professional management. The 5,000 square foot clubhouse community center at Meetinghouse Commons is where you can meet up with friends, family and neighbors. Plus, only .3 miles away is the farmstand at Smolak Farms, where you can enjoy a coffee or apple cider and fresh-baked pastry, muffin, or ice cream. Then you can head back exercise room to get in a workout. And, to stay in touch with neighborhood happenings, activities and plans, you can read the official newsletter at Meetinghouse Commons, “Apple Blossom Times”. Riverbend crossing is a 55+ Community located on Greene Street, just minutes away from North Andover Center with restaurants and shopping, and easy access to Routes 495 and 125. There are 43 garden style condos in this community ranging from 1-2 bedrooms, 1-2 baths and 1,200 – 1,350 square feet. The floor plans are open and spacious with 9 foot ceilings, fireplaces, and balconies with sliders. The building has a welcoming fireplaced entryway with library area and game table, an elevator, central a/c, in-unit laundry, garage parking under building, plus a large clubroom with a galley kitchen and table seating to enjoy friends, family, and neighbors. Riverbend Crossing is professionally managed and the condo fee covers water, sewer, master insurance, elevator, exterior maintenance, landscaping, snow removal, clubroom, refuse removal. 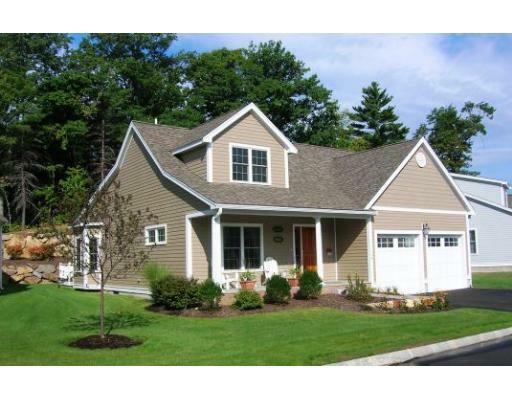 Before you make the move to a 55+ adult community in North Andover, connect with a North Andover Real Estate agent today and tell them that you’d like to find out more about the 55+ communities in the area. They will be able to sit down with you, plan your goals and budget, and get you in the home of your dreams.